A professional roof treatment can certainly boost the curb appeal of your home—but sometimes it takes more than just a simple spray of a hose to keep that coverage fresh. Roof treatment — like those offered by All County Window Cleaning in Vernon, NJ—can help restore the quality and aesthetic of your roof by getting rid of more than just dirt. 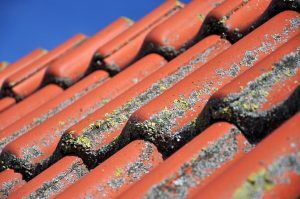 Kill Roof Pests: Moss, algae, and lichen are all common pests that can grow and populate on a roof—especially if you’re used to rainy or humid conditions.Spraying off these organisms may not completely get rid of them, but roof treatments ensure that these bad boys are gone—and won’t eat away at your shingles. Prevent Growth & Damage: There are many different types of cleaning products that work differently with various types of surfaces.Professional cleaners, however, know which ones are the best match for your roof and will choose those that not only clean the surface, but also prevent further damage or invasive growth. Protect Your Shingles: If you try pressure washing your roof on your own, you risk damaging or blasting off shingles. Missing singles can compromise the stability of your roof and, eventually, lead to leaks.Roof treatment pros, like those that at All County Window Cleaning, take care to get the surface as clean as possible without damaging shingles. Keep Home Insurance Current: Believe it or not, a dirty roof can cost you your home insurance. If your insurance lapses, you could lose coverage for roofing costs when you really need them—such as when you have a leak.By hiring a professional for regular roof treatments, you won’t risk compromising your policy. Find out how easy it is to schedule your roof treatment by calling the professionals at (973) 827-8311. Or click here to contact us.